A piece of local industrial history slipped by, almost unnoticed, last month. The Chestnut Avenue factory of H Brettell & Sons Ltd, woodturners, stair and handrail manufacturers, closed for the last time. In a downsizing move, the company, now branded as 'Brettell's', transferred their local business to a railway arch in Winchelsea Road – just a couple of doors along from the Wanstead Tap – thus returning near to a previous Forest Gate location. The company started life in Haggerston, around 1830, when Henry Brettell, a 14-year old descendent of Huguenot French cabinet makers, began to produce handles for tools and turnings for local traders, next to a sawmill. He was able to use their off-cuts and scrap as the basis for his raw materials. 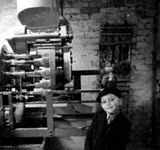 Eighty years after establishment, the firm – then run by the founder's son (also Henry) and grandsons – moved to larger premises in Bethnal Green, and soon began war work – making munition boxes and handles for trench periscopes for the army during World War 1. There was no electrically powered machinery - everything was driven by wide leather belts from pulleys on overhead line-shafting and run from a neighbour's motor through a hole in the wall. 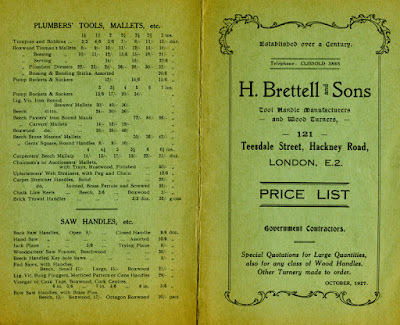 In the age before handles for almost everything were made of plastic, companies like Brettells' contributed to a bewildering range of products and supplied numerous occupations: jewellers, for their rosewood engraving tools' handles; glass merchant's cutter handles; handles for paint brushes and most hand tools; boxwood post office date stamps; publicans' beer pump handles; judges' wig stands; lighter bases for Ronsons; ceremonial sword scabbards for Wilkinson: chair legs for furniture. Lignum pucks for deck quoits on the great Cunard liners, were made by Brettell's, as well as mallets for croquet, fids for plaiting rope in the Royal Navy, collars for GPO transatlantic telephone cables, morticians mallets, police truncheons, floggers for hammering bungs into beer barrels, lemon cutting boards for pubs, stone masons mallets and lead dressers for roofers. The list is almost endless and in its heyday, extended to every part of British industry and enterprise. 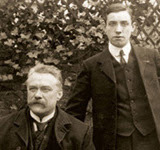 The third generation Henry, and his brothers, continued to run the business after the death of their father, in 1921 – although closed briefly during the depression of the early 1930's. By the end of that decade they were back in business, concentrating on “war work” and their employees were designated to be in a “reserved occupation”, and thus exempt from military service. Although bombed, the company survived the blitz and continued working from their Bethnal Green base on civilian work, post war, until its premises was CPO'd by the London County Council in 1955, to make way for housing. And, so began its almost 60-year relationship with Forest Gate. James Brettell moved the business to four railway arches and 10,000 square feet of space at 350 Winchelsea Road - where it would remain until 1980. 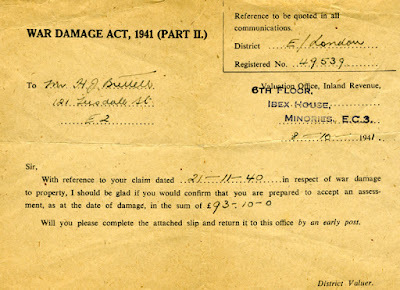 Surviving company documents show that Brettell's took over an existing Forest Gate firm of wood turners – H Oliver and Sons Ltd, when they moved in. 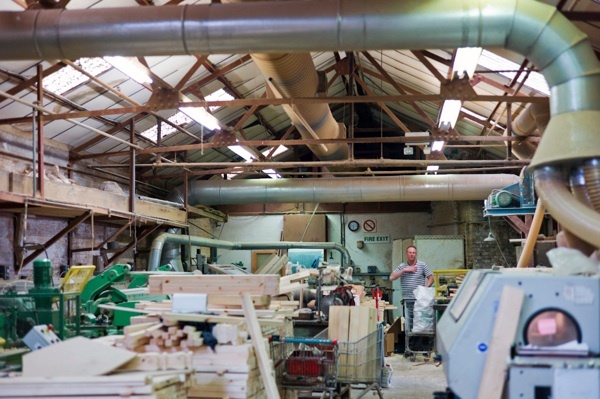 Not only did it acquire their arches' lease from British Rail, it also took Oliver's wood turning machinery – some of which was still in use, until recently, in Chestnut Avenue. 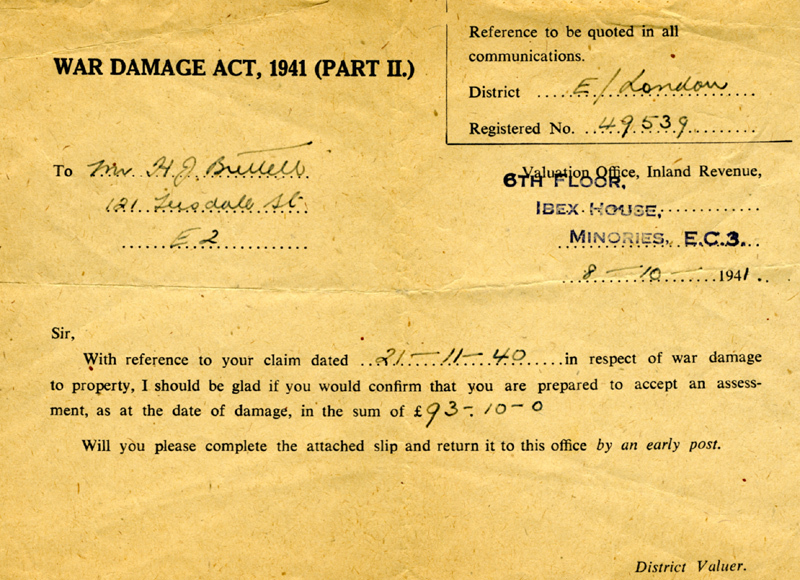 The buy-out cost Brettell's a mere £500. Winchelsea Road during the 70’s was surrounded by a fascinating mix of interesting characters with a variety of occupations with, it seemed, the woodturning factory at its heart. There was the car mechanic; the blacksmith; the women bottle washers; the sprayer; the seed merchant; the tinsmith and the stone masons. We all got sandwiches from Alec’s corner café (ed: now a Caribbean Cafe)with a juke box, Bev coffee and a pin ball machine jacked up on wooden blocks to make the ball run faster. There was the corner shop; the brush makers; the clothing factory and the printers. The street seemed to be full of cars all tied together with string. When a free coffee machine was installed outside the office this often became a focal point and an excuse for people to visit and of course at some point everyone needed a piece of wood or some wood chips. The company supplied the whole road with wood chips for their chip burners. Every so often they would bring back some charred spanners that had been swept up and bagged with the chips. A lot of trading went on within this small community under the barter system and it became known as “The Mill”. 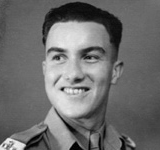 Jim Brettell, James' son and the last surviving member of the family, who has never played an active part in its production, says that his father was well known for giving local characters in search of work, or who had fallen on hard times, a break and a job at the company. He employed many a released prisoner on the advice of Probation Officers, together with one of the first black immigrants in the area from the Dominican Republic. The business continued to prosper, under family control, and in 1980 moved to more convenient freehold premises, 8,500 square foot of industrial space in the midst of the otherwise residential Chestnut Avenue, less than a mile away. These premises had been vacated by Messrs Westgate Grafton, dealers in woodworking machinery. 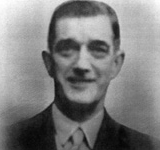 Control of the firm had passed successively through the third and fourth generation Brettells, until fifth generation, Rob (Jim, above's brother) took over in 1995. The company began to diversify in the early years of the present century, moving into production of large turnings for staircases and complex hand-railing in order to supplement general woodturning which was becoming less profitable as demand fell. 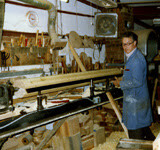 It has been from Chestnut Avenue that highly skilled craftsmen, using a variety of machine tools and lathes have been able to produce bespoke products to the very highest of standards for a wide range of customers – from building merchants to high-spec jobs in some of the most prestigious locations in Britain, such as Mayfair and Knightsbridge (see photographs). At its peak, the company employed up to 20 people. With the departure of some of them, and the move away from woodturning, we have lost some of the most skilled turners and woodworkers in the country, whose craft and techniques have been forever lost. With the fifth generation, Rob's, death this Spring, there is no longer an active member of the family employed on the manufacturing side of the business. The company has decided to downsize and move back to its former stomping ground in Winchelsea Road railway arches – just occupying one, this time, about 50 yards away from its earlier base. So much for the history, what of the practice, and present? The company still produces staircases and fittings to the highest order and maintains the tradition of hand-crafted production, spurning the growing use of computer-controlled 5 axis CNC machines. They continue to believe that it's only by the use of old-style techniques that the very best results can be achieved and when required, especially in sensitive historic locations. A look at their website: www.brettells.co.uk shows the high quality workmanship and range of products and customised goods made and supplied. Although the closure of Chestnut Avenue feels like the end of an era, the firm is still producing locally. 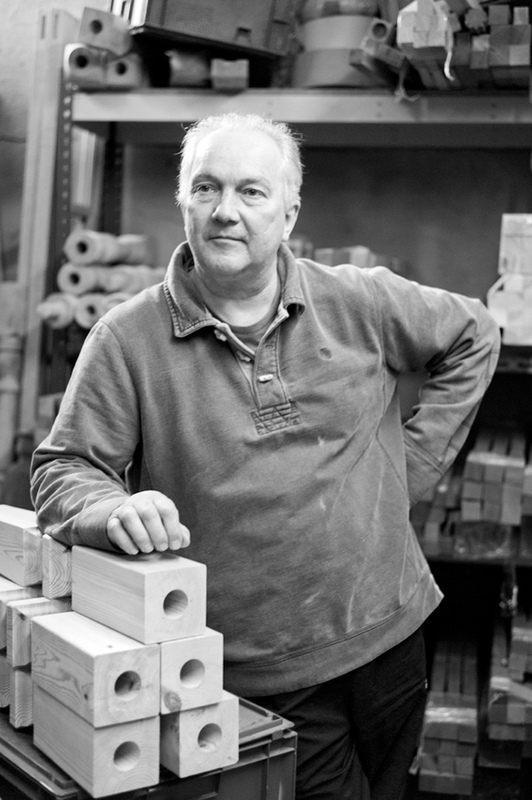 If you have specialist joinery needs, why not pop in, have a chat and see if they can match your specification? The vacant premises on Chestnut Avenue will become the site of six new houses and the bulldozers will be in soon to demolish the old (and frankly crumbling) workshops currently standing there. For details on the fascinating history of the rest of Chestnut Avenue, see next week's blog, when local historian Peter Williams produces another of his historical Forest Gate street guides. Footnote. 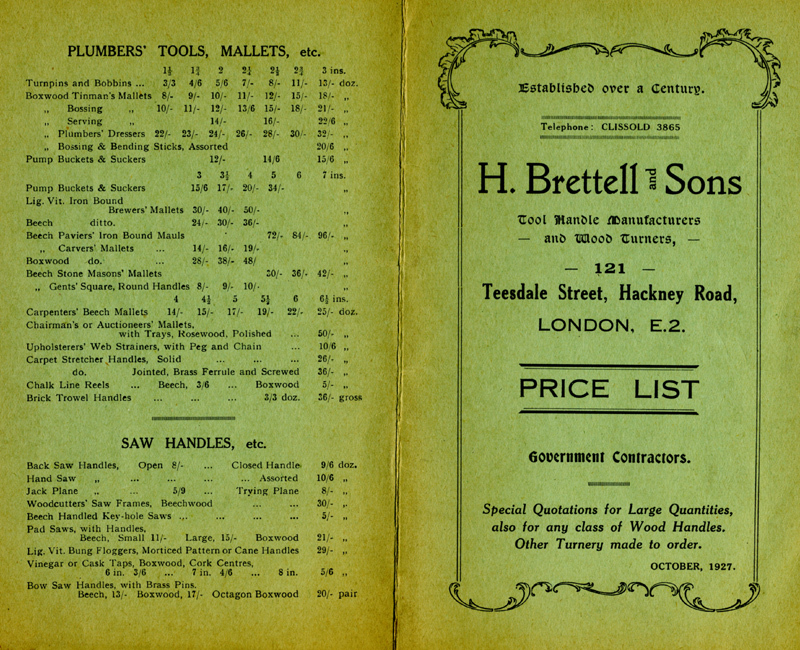 There is a great selection of photographs of Brettell's, as a small woodworking factory, in an edition of Spitalfields Life from June 2014 (see here), to whom we are indebted for the use of some of the photographs in this article (as indicated). Brettell's own website (see here) provides more information and photographs about the firm, to whom we are also indebted for their use. Wood turners are lathes and can be used for a number of projects when working in a wood shop. Thanks for sharing this useful post John. Please keep up the good work. When buying solid wood furniture, we should pay more attention on the raw material and workmanship of them because the price of solid wood furniture is dependent on these two factors.